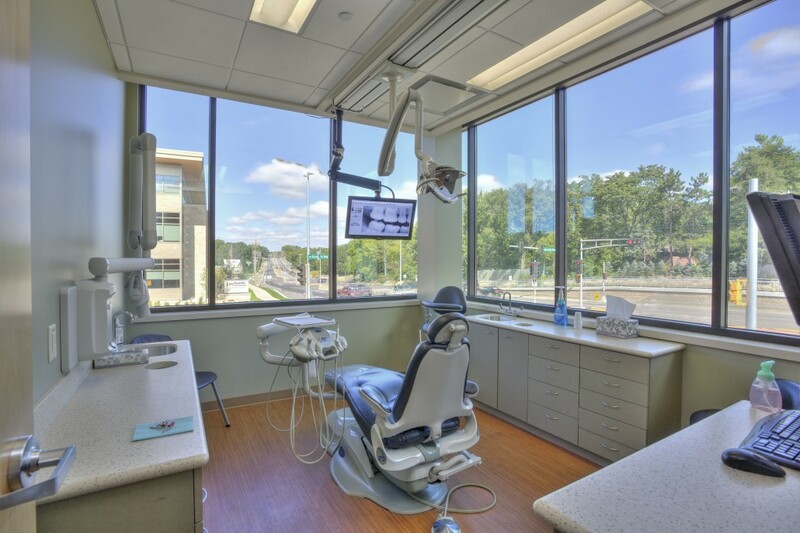 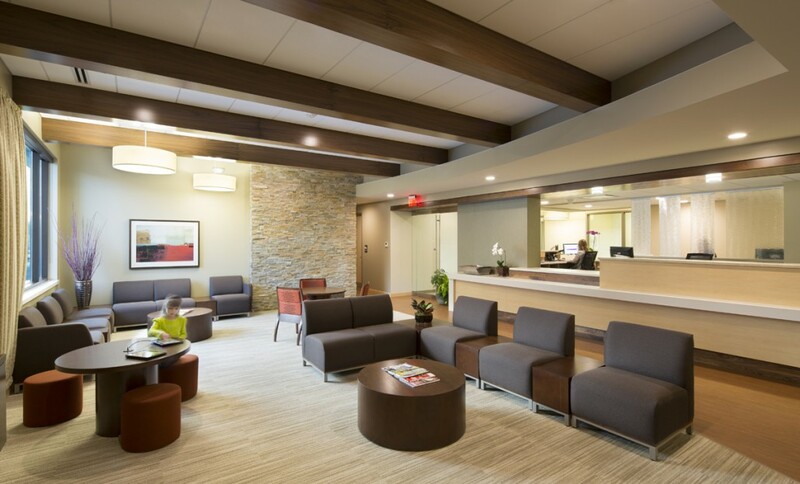 Associated Dentist chose Potter Lawson to design a new 10,750 sf space in the University Crossing Development in Madison. 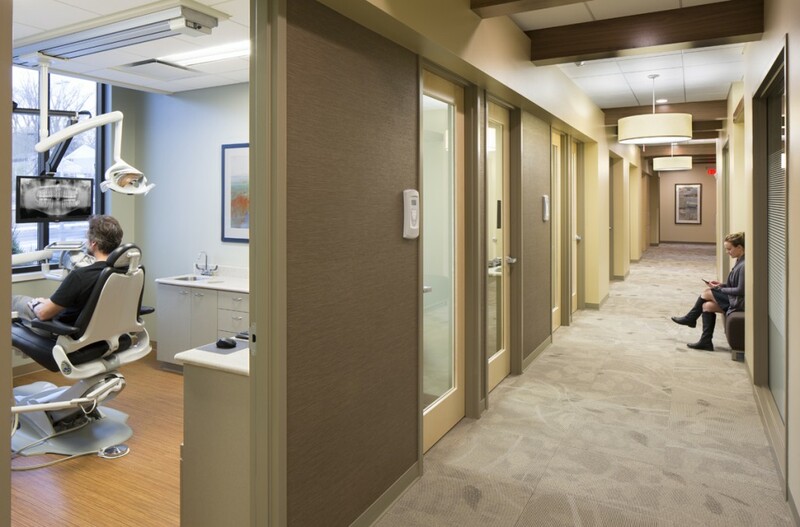 With the goal of a clean, contemporary design with spectacular daylighting and views, this space includes 20 private operatory rooms with a fluid circulation path and shared office suite for five dentists. 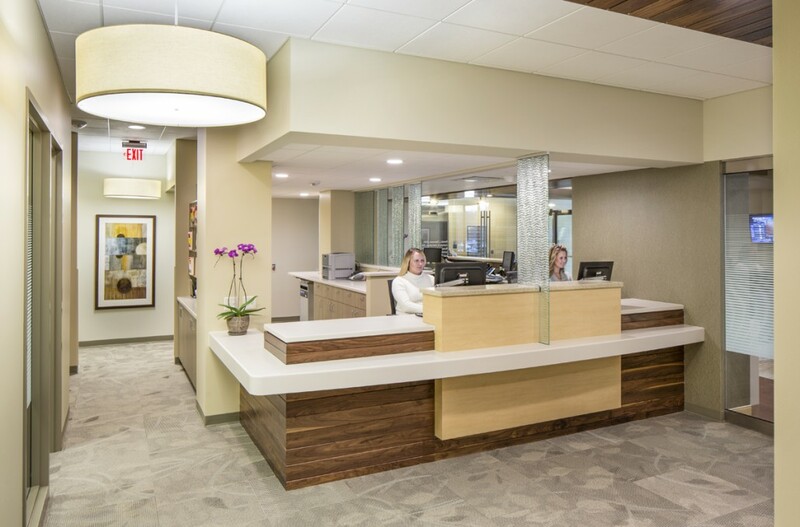 Other amenities include a lab, a sterilization unit, three insurance stations, three x-ray stations, a four-person reception desk with adjacent business office and rolling files, a 44-seat waiting area, staff lounge with a kitchenette, and locker rooms.